On behalf of the Army Educational Outreach Program (AEOP), Battelle is seeking an experienced partner interested in developing new and innovative ways to execute the AEOP science, technology, engineering and mathematics (STEM) apprenticeship and Workforce Development Program, as part of a consortium of partners formed by the Army Educational Outreach Program on behalf of the U.S. Department of Defense and executed by the U.S. Department of the Army. The consortium is looking to work with an organization dedicated to serving students from underserved populations and military dependents. AEOP apprenticeships provide an opportunity for high school and undergraduate students to conduct real-world, Army-sponsored research alongside scientists and engineers. Our goal is to inspire students to pursue further education and careers in STEM, addressing the nation’s need for diverse, agile and highly competent STEM professionals. In collaboration with our new STEM partner, we plan to work together to promote this program to better meet objectives, maximize impact and provide more enriching experiences for our students. Receipt of the RFI for partnership is contingent upon participation in a mandatory webinar, which will be held on Monday, April 15, at 12 PM EST. The application requirements for this partnership include a cover letter, a technical component in which applicants should discuss strategy and a plan for implementation, a collaboration and management plan, credentials and past performance, a budget and budget justification, biographical sketches and a bibliography with references. Click here to sign up for the webinar. Please note only those entities that attend the webinar will be considered for award of this program announcement. Pre-registration to attend the webinar is required. If you have programmatic questions, contact David Burns with Battelle. 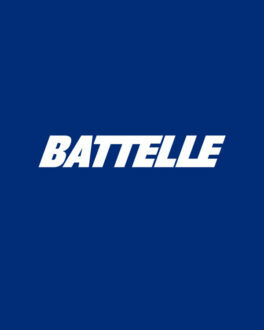 If you have contractual questions, contact Austin Price, also with Battelle.